The National Alliance on Mental Illness (NAMI) recognizes at least five areas of independent professional practice for the diagnosis and treatment of Mental Health issues. 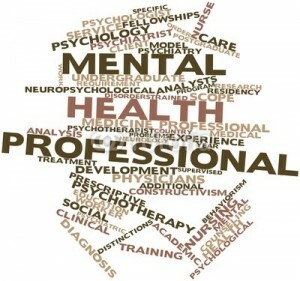 While NAMI’s recognition of professional Mental Health Practitioners may not be exhaustive, it is perhaps the most concise and descriptive of Mental Health services provided by different disciplines. It can be helpful for churches to be aware of the education and primary purposes of each type of mental health professional. Psychiatrists are physicians with either a doctor of medicine (M.D.) degree or doctor of osteopathy (D.O.) degree, who also has at least four additional years of specialized study and training in psychiatry. Psychiatrists are licensed as physicians to practice medicine by individual states. “Board Certified” psychiatrists have passed the national examination administered by the American Board of Psychiatry and Neurology. Psychiatrists provide medical and psychiatric evaluations, treat psychiatric disorders, provide psychotherapy (in some cases) and prescribe and monitor medications. There are several subspecialty boards in psychiatry including child and adolescent, forensic, and addictions. Psychologists have has a doctoral degree (Ph.D., Psy.D.) in clinical, counseling, or Health Psychology/Behavioral Medicine. Psychologists are also licensed by individual states to practice psychology, and in many states, are licensed as Health Service Providers. They can provide psychological testing, diagnostic evaluations, treat emotional and behavioral problems and mental disorders, and provide a variety of psychotherapeutic techniques. Psychologists usually attend a four or five year graduate program with a year of internship followed by a one year postdoctoral period of supervision prior to licensure. There is also a National Board/Council of Health Service Providers in Psychology that requires psychologists to provide two years of documented supervision post-licensure in particular areas of specialty. Social workers have either a bachelor’s degree (B.A., B.S. or B.S.W. ), a master’s degree (M.A., M.S., M.S.W. or M.S.S.W), or doctoral degree (D.S.W. or Ph.D.). In most states, social workers take an examination to be licensed to practice social work (L.C.S.W. or L.I.C.S.W. ), and the type of license depends on their level of education and practice experience. Social workers provide a range of services based on their level of training and certification. Typically a bachelor’s level social worker provides case management, inpatient discharge planning services, placement services and a variety of other daily living needs services for individuals. Master’s level social workers can provide this level of services but are also able to provide assessment and treatment of psychiatric illnesses including psychotherapy. Licensed professional counselors have a master’s degree (M.A. or M.S.) in psychology, counseling or other mental health related fields (some may hold doctorates) and typically have two years of supervised post-graduate experience. They may provide services that include assessment and diagnosis of mental health conditions as well as providing individual, family or group therapy. They are licensed by individual states and may also be certified by the National Board of Certified Counselors. The American Association for Marriage and Family Therapy is a professional association of therapists who conduct marriage and family therapy. A graduate degree plus post graduate supervision by an approved supervisor is required for licensure. LMFT’s are licensed by individual states. How would the counseling provided by a formal pastoral counselor compare to a licensed counselor? How do I find a good match in a counselor for my needs? How do I find a good counselor in [name of city]? How do I know if my life struggle merits counseling? What can I do to place myself in the best position to benefit from counseling? If this post was beneficial for you, then consider reading other blogs from my “Favorite Posts on Mental Illness and Medication” or “Favorite Posts on the Church and Counseling” posts which address other facets of this subject.